Sarine Technologies is inaugurating its newly branded, advanced and fully automated diamond grading lab, the only such facility based on artificial intelligence (AI), during the International Diamond Week in Israel (IDWI) on January 28 – 30, 2019. The launch follows an initial pilot of the lab facility that opened in February 2018. Sarine, an Israel-based, publicly traded company, is the industry leader in pioneering new technologies for the entire diamond pipeline. 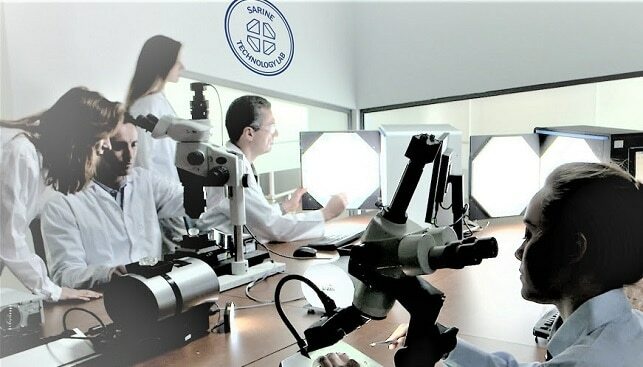 The Sarine lab is offering automated diamond grading reports, based on machine learning and monitored by expert gemologists, which supplies objective, consistent grading results. The Sarine Profile reports are provided in a customizable printed or digital format. The lab also offers science-based Light Performance grading, measuring brilliance, sparkle, fire and light symmetry, which they say objectively assesses the beauty of the diamond and adds value beyond the 4 C’s. In addition, the Sarine lab also offers a new service, especially geared to retailers: A customized Diamond Journey report, which tracks the life of the diamond from rough to polished, illustrating the unique transformation from rough to polished diamond.